If you are planning to visit the Tokyo Game Show next year, be aware that different folks often cosplay on each public day. Meaning? Meaning you should go to both days! 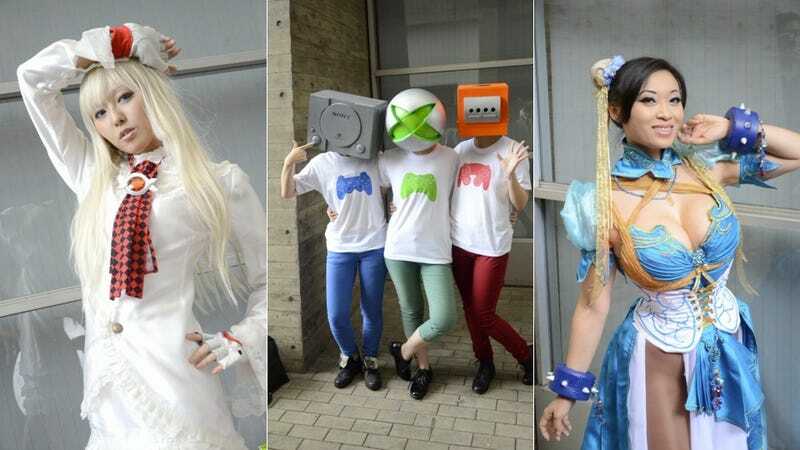 Kotaku previously showed the guys and gals who donned colorful costumes on the first day. However, since we were running on fumes by Sunday, we all headed home and sadly missed some of the amazing outfits that graced the second public day. Bummer. Fret not! Japanese site Asagawo Blog braved the crummy weather and the insane crowds to snap pics on the second day. Here's a look at some of the outfits we unfortunately missed, including a brilliant console heads group shot and Yaya Han's take on Chun-Li. It's mostly gals (sorry people who want to see more dudes), but nice work all around!